UFO, or Satellite Re-Entry? Finally, a List! As "UFO Realists" (meaning, those of us who think that facts matter when it comes to evaluating UFO claims), we all realize that at least some dramatic UFO reports are misperceptions of objects burning up upon entering (or, in the case of satellites, re-entering) the earth's atmosphere. We know, for example, about the Zond IV re-entry in 1968, widely seen across the United States, and widely reported as a UFO, with "impossible details" added to what was actually visible. Ted Molczan of Toronto, Ontario, is perhaps the world's leading civilian authority on observing earth satellites, and calculating their orbits. He is a principal contributor to the SEESAT list, the principal on-line forum of the world's serious amateur satellite watchers. Whenever observers disagree about which satellite has been seen, a pronouncement from Molczan will usually settle it. 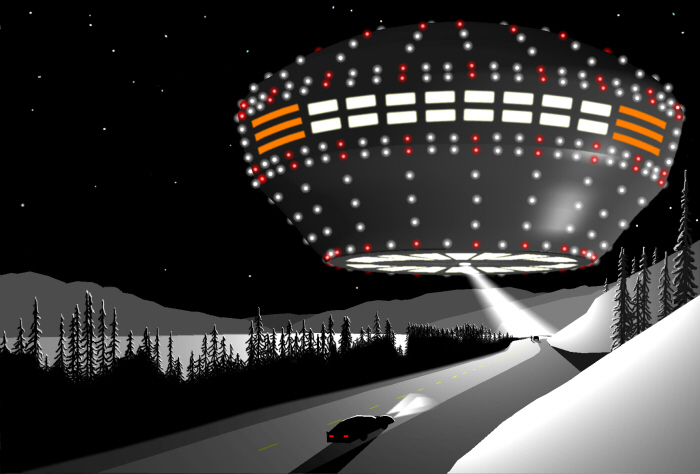 In April, 2012, Molczan was consulted about the famous Yukon "Mothership UFO" reports of December 11, 1996, which were touted as a "Top Ten" UFO case, and strongly promoted by Stanton Friedman, the "Flying Saucer Physicist." Molczan discovered that it matched perfectly with the flaming re-entry of the second stage of the rocket that had launched the Russian satellite Cosmos 2335 earlier that day. I wrote a Blog entry about this, with emphasis on the spurious details that had been added to the reports. Previous to this, Molczan had little interest in, or exposure to, UFO reports, although a few of us skeptics had been in occasional contact with him. But this incident piqued his curiosity, and he began to investigate: how many other reported UFO cases can be tied to satellite re-entries? Apparently, the answer was, "lots," and the result was this list, the first of its kind. It hopes to list every natural satellite re-entry (a naturally-decaying orbit, as opposed to controlled re-entries) that has been visually observed, and reported. It now runs to 20 pages of reports. Not all of the observations are taken from UFO reports. Many are from scientific observers, or press reports. Also, it does not include meteor sightings, no matter how spectacular. So famous bolide sightings like the Great Lakes Fireball of December 9, 1965 (a.k.a. 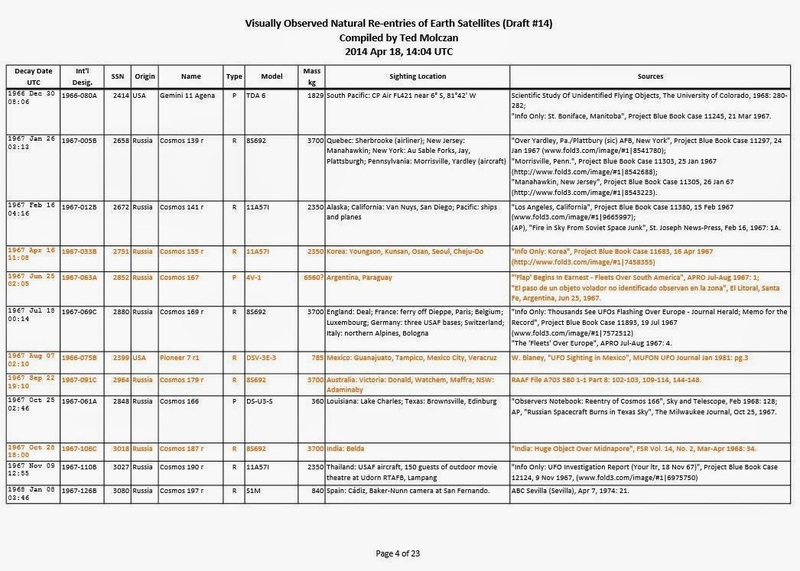 the "Kecksburg UFO Crash") are not in the list. I identified three more 1980's sightings just last night, all of them unsolved Australian UFO cases. That brings to 54 the number of UFOs I have identified as re-entries, beginning with the 1996 Yukon case nearly two years ago. 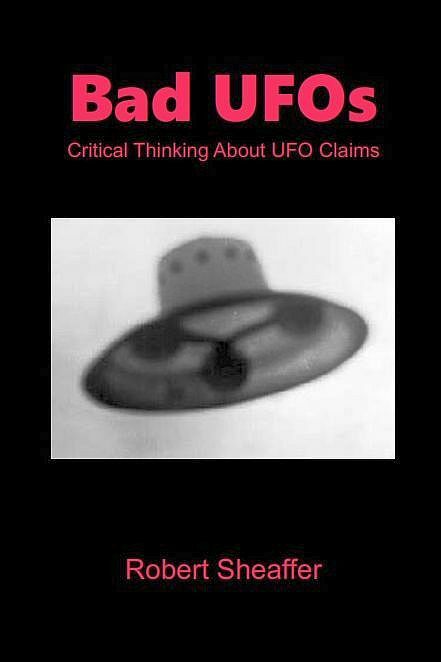 So at least 54 "UFOs" have become "IFOs," thanks to Molczan's efforts. And that "working prototype" page is pretty darn impressive! So if you are researching a historical UFO case, you'd do well to check this list, to see if Molczan has anything about it. And a hearty cheer for Ted Molczan, for all this great work! 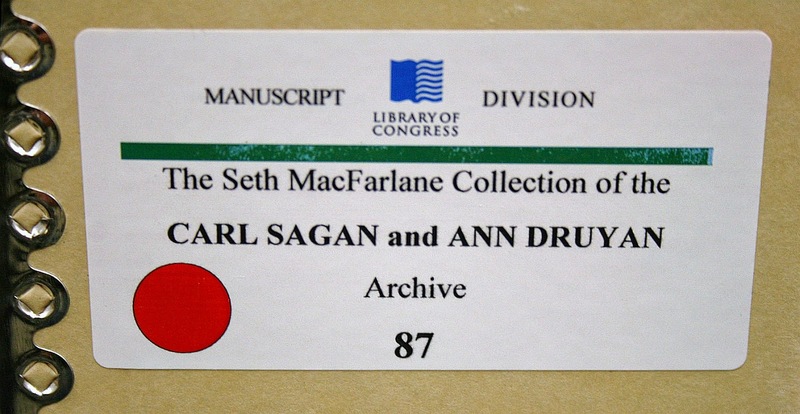 UFO researcher Shepherd Johnson of Virginia was researching Carl Sagan's papers at the Library of Congress in Washington, DC. In 1993, along with his niece, Anne Bartley, the stepdaughter of Winthrop Rockefeller and the then-president of the Rockefeller Family Fund, he established the UFO Disclosure Initiative to the Clinton White House. They asked for all UFO information held by the government, including from the CIA and the US Air Force, to be declassified and released to the public. The first and most important test case where declassification had to apply, according to Rockefeller, was the Roswell UFO incident. 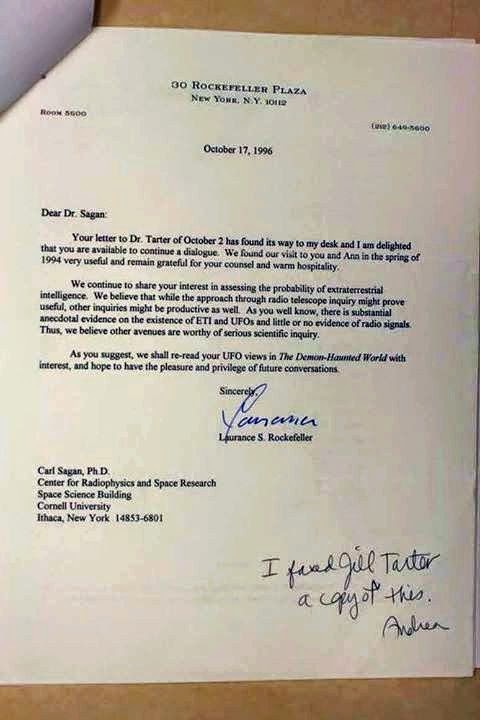 In September 1994, the Air Force categorically denied the incident was UFO-related. Rockefeller briefed Clinton on the results of his initiative in 1995. Clinton did produce an Executive Order in late 1994 to declassify numerous documents in the National Archives, but this did not specifically refer to UFO-related files. There are still conspiracy theories going around about Rockefeller's UFO "disclosure initiative" being suppressed by shadowy powers. 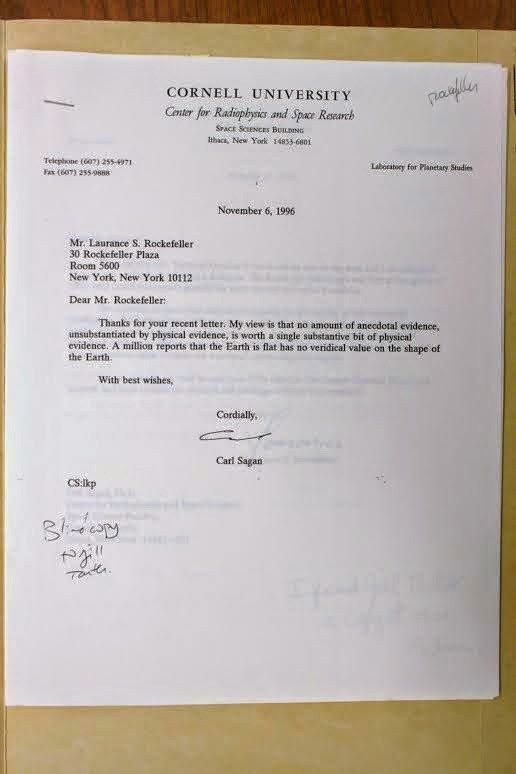 In addition to funding UFO research, Laurance Rockefeller also funded research into Crop Circles, and ESP. "A million reports that the Earth is flat has no veridical value on the shape of the Earth." - Carl Sagan.